Vitellius (Laitin: Aulus Vitellius Germanicus Augustus; 24 September 15 – 22 December 69), wis Roman Emperor for aicht months, frae 16 Aprile tae 22 December 69. 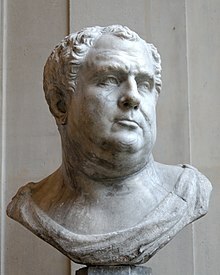 Vitellius wis proclaimed emperor follaein the quick succession o the previous emperors Galba an Otho, in a year o ceevil war kent as the Year o the Fower Emperors. ↑ In Clessical Laitin, Vitellius' name would be inscribed as AVLVS VITELLIVS GERMANICVS AVGVSTVS.